In my home full of boys these Steak Bites were devoured before I could even get them to the table. The Honey Lime Steak Bites were a hit among my family of boys for sure! These steak bites were very simple to make and would make a good appetizer as well, that’s actually how they were eaten in my home. However would also be good served with rice and a good garden salad. 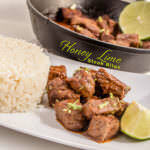 Regardless of how they are served the tangy lime and the sweet honey give these steak bites a bit of zest and flavor that you will enjoy. I loved the light even flavor and how tender each bite was. Delicious! In preparing the Honey Lime Steak Bites it takes only a few minutes to put the marinade together and of course the longer you have time to marinate the better, but even 30 minutes will do the trick! I think the key ingredient is the Chili Sauce as it gives an added spice with a little bit of heat without being hot. 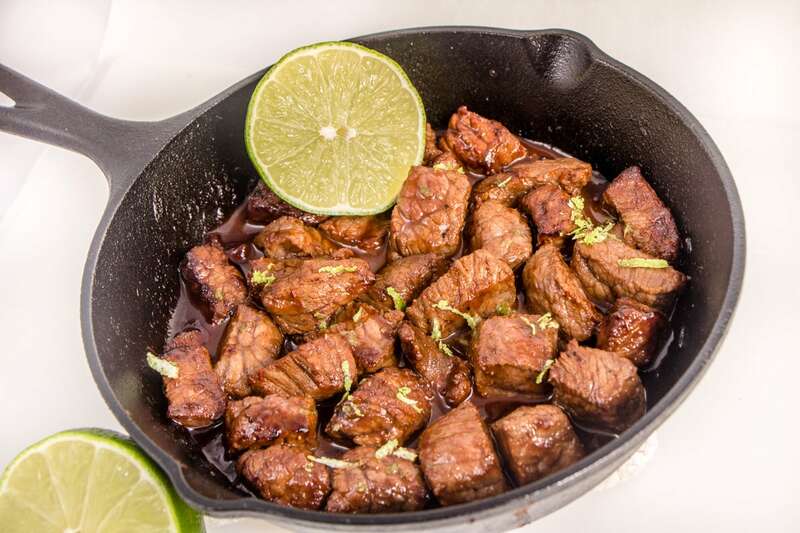 Combined with the sweetness of the honey and the tang of the lime and this marinade is wonderful with every bite of steak. 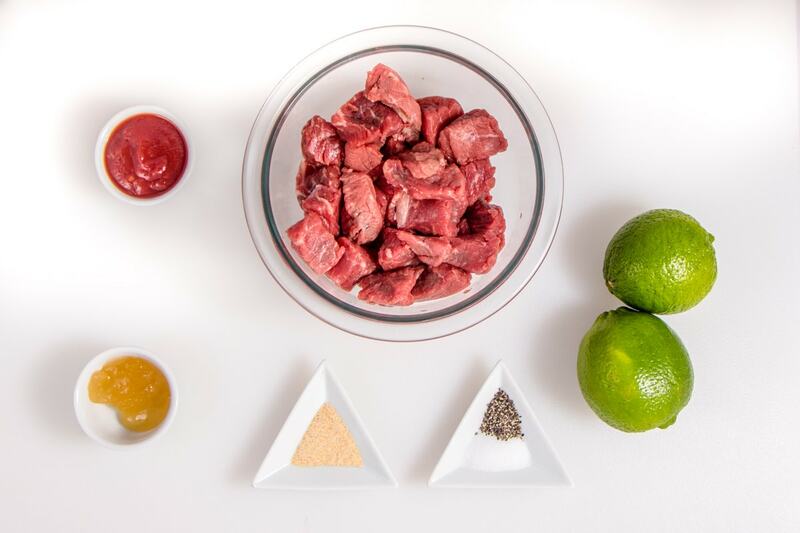 Cut up your steak in 1 inch cubes and add to your marinade. Allow to marinate for at least 30 minutes, however if you can let them marinate for 2-3 hours it’s even better. I don’t always plan enough ahead of such luxuries, and 30 minutes is about all I can give it in my busy lifestyle. Heat your cast iron skillet over medium/high heat. Once your pan is hot use Olive Oil and swirl in the bottom. Place your steak bites in pan and you should hear a loud sizzle. If you don’t, then your pan is not hot enough. Let steak bites sear for about 1 minute and then turn with tongs and allow to sear on the other side for about a minute. Because your steak is all in bite size pieces, it won’t take long to cook your steak. If you prefer a more rare steak, then you will want to cook less time. A one minute on each side will cook your steak to a medium to medium well temperature. Remove your steak bites and place any remaining marinade into pan. Allow to sizzle and cook through. It will bubble and caramelize quickly because of the honey. So watch it close. You may need to adjust your heat to a medium heat. Once it’s cooked through you can drizzle over the top of the steak bites and then sprinkle with lime zest as a garnish. Zesty Honey Lime Steak Bites will wow your tastebuds with their even flavor and a hint of sweetness. In a bowl combine ingredients for marinade. Honey, Chili Sauce, Lime Juice, Garlic Powder, and Salt and Pepper. Cut steak into 1 inch strips and then cut strips into 1/2in bites. Put steak bites into marinade and toss to coat. Allow to sit for at least 30 minutes but ideally 2-3 hours is best. Cook over medium to high heat in a cast iron pan with Olive Oil. Heat pan first then add olive oil. Once steak is added it should sizzle loudly. Cook for 1 minute and then turn bites over with tongs. Cook for additional 1 minute and remove from heat. In pan, add remaining marinade and allow to cook through stirring constantly. It will bubble and caramelize because of the honey so watch close so it doesn't scorch. Pour cooked marinade over steak bites and garnish with lime zest. Looks so yummy! I so need to try it. Thank you! Thanks Erin! They are delicious and a favorite among the men in my home! They would eat them like popcorn if I would let them! haha. My husband would love this! And I’d love for him to cook it for me! It’s is a Manly meal for sure! (*wink wink) haha… I love to make these because my husband always cleans the cast iron pan! haha.. But these can be made in any pan for sure. I’ve only recently started using lime in cooking…it really packs a punch with flavor…these look amazing, definitely giving this recipe a go ? Lime is a real secret ingredient, it just adds zest to so many dishes. I’ve done spicy honey chicken but never beef! Great idea! And I adore my cast iron skillet! Cast Iron is the best. We cook in our Dutch Ovens year round and love the flavor from them. So glad you found something you like! We have more Steak Bite Recipes coming next week! Honey lime sounds like a standout flavor! I like the video on top! It really adds to your post! And I also love to cook in my cast iron skillet. It makes the meat taste so much better! That is great advice. This recipe looks really good. I would like to try it sometime. Thanks Alexis! I’ve found most people enjoy watching a video. It gives a real good idea of how detailed a recipe can be or just how easy it really is! Thanks for taking a look. I hope you will look at my other recipes too. 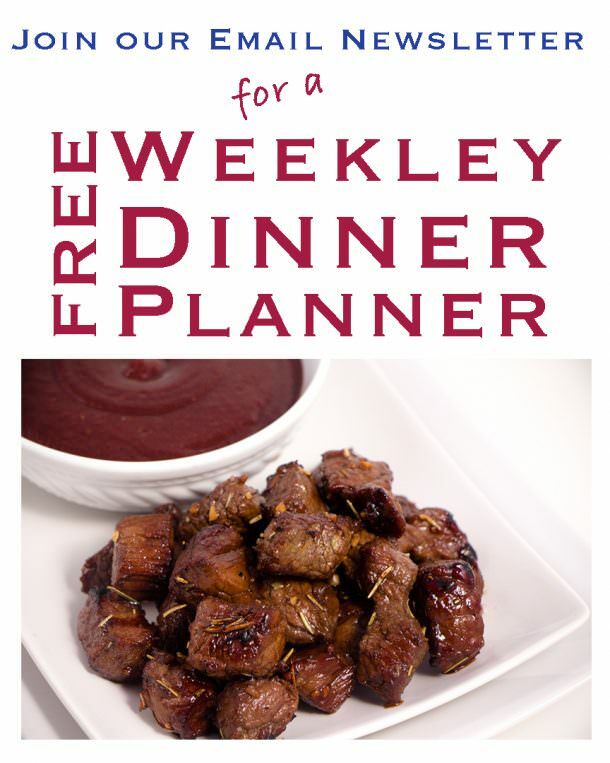 I love spicy honey chicken, so I will definitely have to try your honey beef. I will be putting this on the list for the next grocery run. Oh Wonderful! You can make it even more spicy if you added some Chili Powder too! This looks so yummy! I love my cast iron skillet. I cook almost everything in it so the seasoning is so good! Definitely going to have to try this one out. I love how you use honey to offset the chili! Cast iron is my favorite. It seasons so well and a good pan will go the distance too. Yes the Honey will offset the chili for sure. It’s truly a wonderful combination of sweet, tangy and a little bit of spice. They all come together so wonderfully. These sound like perfection! We just purchased half a cow from a local farmer and I’m looking for some good beef recipes! Oh you will love these with that much beef! I’ll be posting some other Steak Bite Recipes in the next week or two. Watch for them. They are super easy but full of flavor.